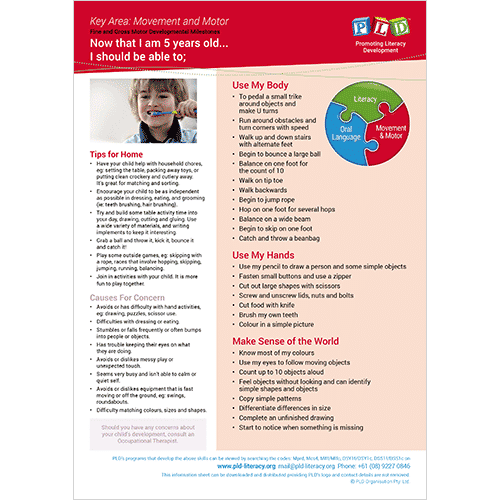 Age based fact sheets that identify fine and gross motor development milestones for 4 and 5 year olds. Includes tips for home and causes for concern. 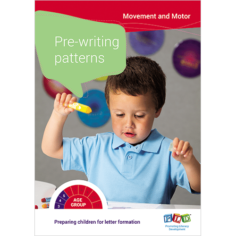 Designed by Occupational Therapists this resource promotes awareness of early motor developmental milestones. What children be able to do with their body. 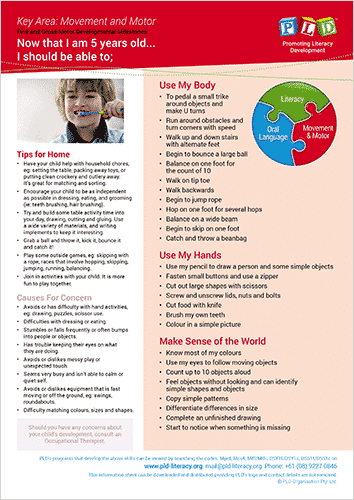 Tips for parents in the home environment so that they can stimulate their child’s motor skills. A list of observations of children’s motor skills (or lack of) which are causes for concern and suggest visits to an Occupational Therapist. 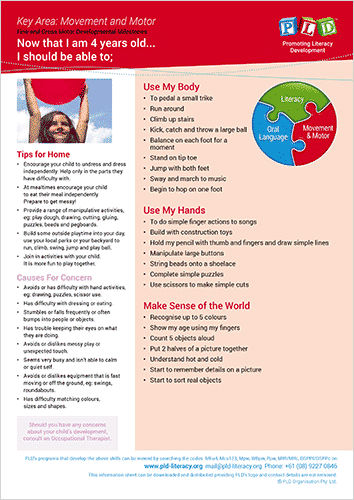 The 4 year old information sheet is available for download and distribution here. The 5 year old information sheet is available for download and distribution here. The 4 year old poster is available for purchase here. The 5 year old poster is available for purchase here.